Of Liverpool's 19 Premier League victories so far this season, Sadio Mane considers Saturday's frantic one over Crystal Palace the biggest. Jürgen Klopp’s men have posted a series of controlled successes to top the table but had to secure a result in much different fashion against the Eagles at Anfield. The Reds trailed 1-0 after 45 minutes and were pegged back when they overturned the score with two quickfire goals in the second half. Further strikes from Mohamed Salah and Mane put Liverpool clear, though Max Meyer’s finish set up a tense final minute with the hosts down to 10 men due to James Milner’s dismissal. 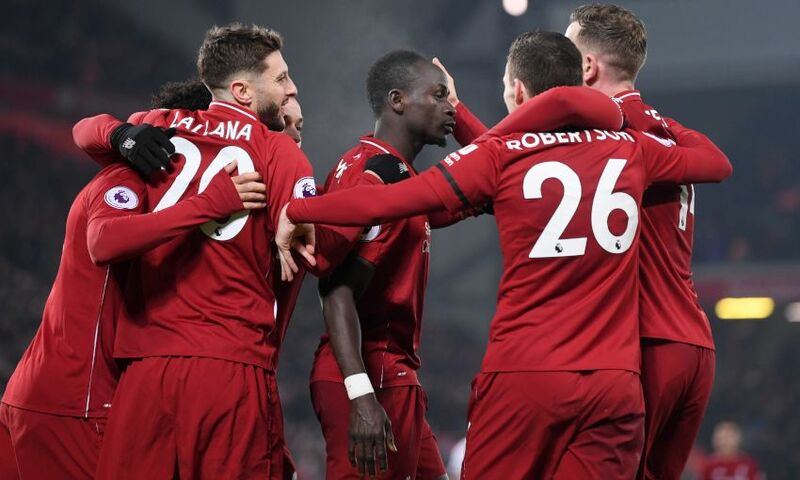 Relief was therefore the overriding emotion inside the stadium at full-time and Mane stressed the importance of securing three points from a testing afternoon. Asked if it was his side’s biggest win of the campaign so far, the Senegal international told Liverpoolfc.com: “100 per cent. Mane’s 10th goal of the season ultimately proved to be the winner. With the clash in stoppage-time and Liverpool’s lead 3-2, the forward collected Andy Robertson’s pass on the stretch and sprinted towards the box before threading a shot past Julian Speroni. “It was a good goal at a good time. We were a little bit [more] relaxed after so much pressure,” he added.